Dr. Matt Morretta received both his Bachelor of Science and Doctor of Physical Therapy degrees from Temple University. He is residency trained in orthopedic physical therapy and became an orthopedic clinical specialist in 2011. 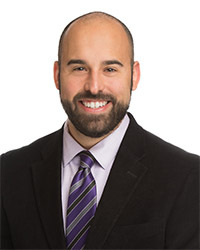 Dr. Morretta continued his clinical education by completing an orthopedic manual physical therapy fellowship through Evidence in Motion and becoming a fellow of the American Academy of Orthopaedic Manual Physical Therapists in 2016. Over eight years of clinical and four years of teaching experience has allowed Dr. Morretta to find his true professional passions, the therapeutic alliance and clinical reasoning.